As a founding partner of Kosmos Energy, Paul Dailly has been involved in some of the most exciting and significant discoveries of recent years. He tells us the story behind the building of this successful exploration company. Dr. Paul Dailly, Senior Vice President and Chief Geoscientist of Kosmos Energy, which he co-founded in 2004, is a veteran oil finder, with over 25 years in the business, much of it looking at frontier regions. Paul was first inspired by geology when growing up in his native Scotland. “I always loved being outdoors and enjoyed hiking and camping and going on expeditions with the Scouts,” he says. “The only two things at school I was any good at were maths and geography, overall an odd combination of interests which eventually led me to geoscience being the thing I enjoyed most. I studied for my B.Sc. at Edinburgh; one of the main attractions of the degree course there was that we did so much fieldwork and saw a lot of rocks. I then embarked on a BP-sponsored Ph.D. based in Durham and Oxford, where John Dewey had started a basin evolution research school integrating tectonics and sedimentation, a very new and hot topic at the time. It was a great research environment with a lot of talented researchers. I studied Carboniferous and Permo-Triassic basin evolution in the Solway Basin in Scotland, combining oil industry data with a lot of fieldwork, which gave me early exposure to integrating apparently different datasets to make the whole greater than the sum of the parts. These Equatorial Guinea discoveries spiked the interest of Amerada Hess (now Hess Corporation), who were looking to fast-track production from African fields. They bought Triton in 2001 and Paul moved with them to Houston to manage the Gulf of Mexico regional exploration team, but before long found himself back in Dallas with an exciting new venture: Kosmos Energy. “Myself and a number of the ex-Triton management decided to form Kosmos and managed to get funding from two New York private equity houses: Warburg Pincus and Blackstone. It was a big leap for us to take: from solid careers with international companies to a small group of people starting from scratch. With me there were two other technical guys, Brian Maxted who is still the CXO, and Kenny Goh, and also Jim Musselman, who was CEO at the time, and Greg Dunlevy the CFO. “Having got the team and the money in place, we went looking for opportunities – and saw plenty of exciting ones, particularly in Africa. Because of the sorts of prospects we were targeting there was not a great deal of competition from the oil majors, who were not doing much frontier exploring in the early 2000s but rather were focused on proven basins; it was good time for smaller companies like us to rapidly build a portfolio. Another important factor in establishing the company was the fact that many of the software applications we use, such as seismic interpretation systems, had fairly recently moved from mainframes and large operating systems to more manageable and affordable PC-based, off-the-shelf platforms. This helped level the playing field for a lot of small companies with more modest resources and allowed them to compete with much bigger organisations,” Paul adds. As he explains, through the 1990s most major E&P companies had focused on exploring the Tertiary deltas such as the Niger, Congo and Gulf of Mexico, and were concentrating on developing the resulting discoveries. A number of other play types, however, like the transform margins of Africa, had not seen much exploration in a number of years. Kosmos saw these big gaps in knowledge and activity as opportunities. Success at Jubilee was the result of the company’s identification of the overlooked Upper Cretaceous structural-stratigraphic play concept along the transform margin of Africa. It turned out to be one of the largest finds of 2007 worldwide, and the biggest discovery of the entire decade offshore West Africa. 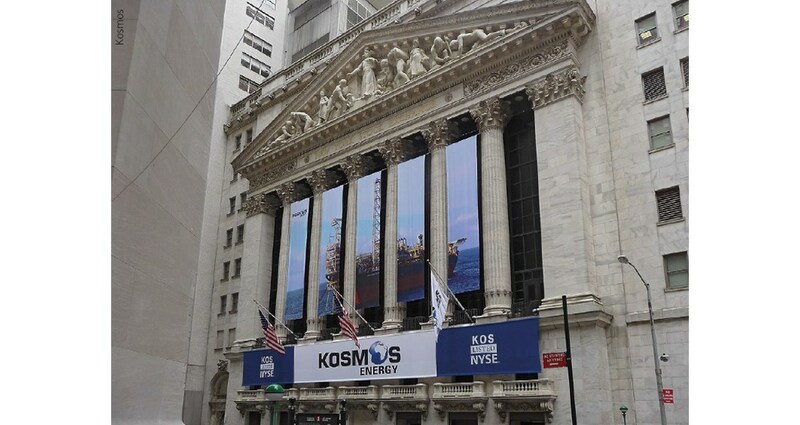 Kosmos farmed out to Anadarko and Tullow to help fund the drilling of the discovery well and the partnership fast-tracked development of the field, with production starting up just three years later. “After Jubilee everyone wanted to move into Ghana and the transform margin and it became very expensive,” Paul explains. “We decided to switch geography to North West Africa, which we considered to be just as overlooked and underexplored as the transform margin had been. In 2012 we took acreage in Mauritania, which a lot of companies had downgraded after the much-vaunted Chinguetti field proved to be more complicated than initially expected and many companies exited the country. We thought the fundamentals of the geology still showed promise and in 2015 drilled the Tortue-1 well (later renamed Ahmeyim), which opened a new, giant hydrocarbon province in Cenomanian and Albian sands in combination traps. It was the industry’s second largest discovery of the year and opened up the Greater Tortue gas area, which stretches south into Senegal. “Tortue was typical of our strategy – we try to be counter-cyclical,” he continues. “Firstly, it is always important that our investors are happy that we ‘bet against the pack’. We maintain a small but very experienced technical group at the core of the company who can look in detail at all the prospects. Frontier opportunities can often initially have a 1 in 10 chance of success, but we have to see a pathway to reducing that risk down to a drillable 1 in 3 to 5. It’s important that we continue to invest in new opportunities even at a low point in the cycle. Not many people are actively picking up acreage at the moment, which helps our longer term exploration strategy, but makes it tougher when we look for partners. Paul is justifiably proud of the Kosmos team, which has grown from about 20 people when Jubilee was discovered to over 180 now, most based in Dallas. The exploration group has about 30 people with a high percentage of geoscientists, bringing a broad range of experience but maintaining a small company, team-oriented culture. I ask Paul what makes a good hydrocarbon explorer. “An open mind is probably the most important thing, so you are not caught up in the conventional wisdom as to why some things have worked and others have failed. The ability to integrate technically is also vital. We see lots of high quality work done in isolation but which hasn’t been sufficiently leveraged by integration to lower risk. This is partly an issue of company size – it’s much easier to collaborate between disciplines in a smaller company, where everyone is co-located and where having cross-discipline conversations with smaller groups is a natural process. At the same time we believe you must be big enough to have the range of in-house technical expertise to compete. 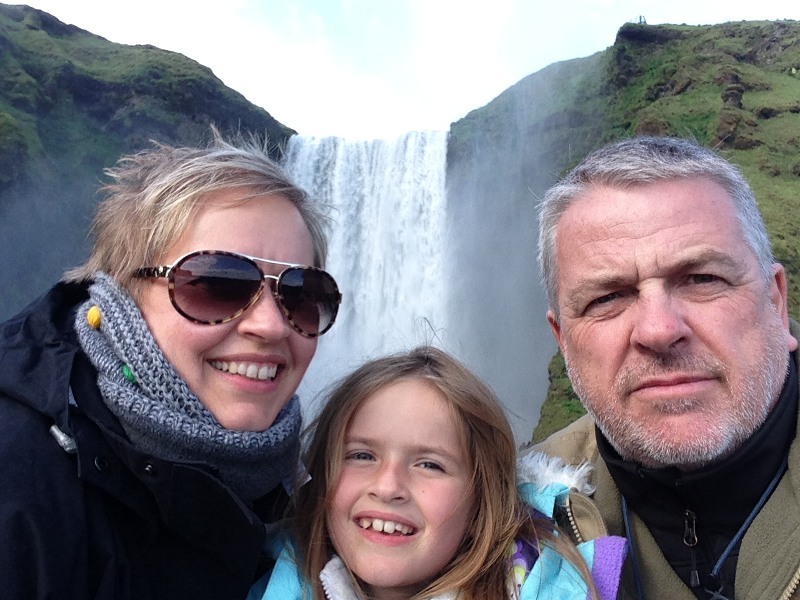 Paul, wife Chris and daughter Meagan in Iceland. 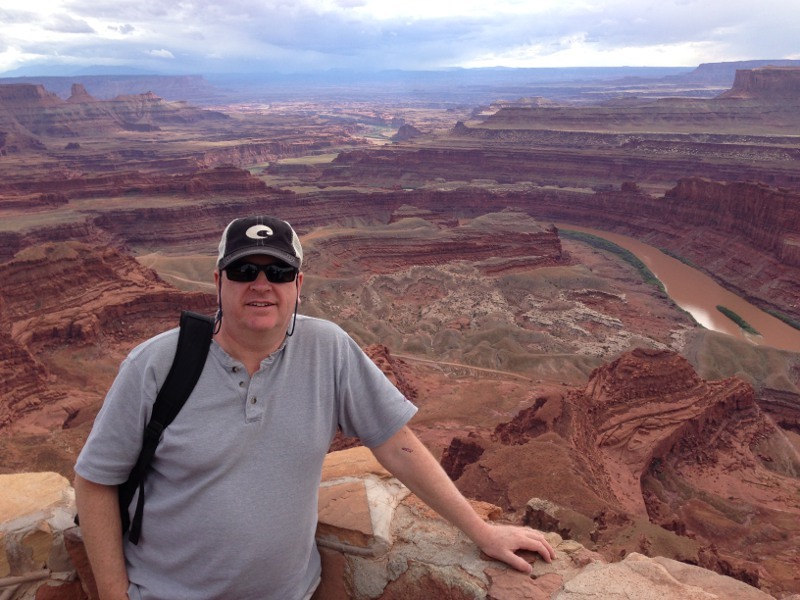 (Source: Paul Dailly) After 20 years in Texas, Paul recently moved back to Scotland, close to his home town of Dundee (“near the Highland Boundary Fault,” as the geologist points out), partly to help his parents. However it is also easier for him to look after Kosmos’ African new venture interests from Europe than from the US. He is enjoying being back, and particularly relishes the rural environment and the access to outdoor activities like hillwalking. “The great thing about working with a small organisation is that despite getting so involved in the management and decision-making sides of the business, I continue to get a kick out of the geology. I still enjoy figuring out how a bunch of rocks comes together to make a play, and then doing whatever is needed to get the idea tested,” Paul concludes. Paul Dailly is clearly a man who enjoys what he does - and does it well. Harnessing Dr. Scott Tinker’s enthusiasm and boundless vivacity may not instantly solve the global energy equation; however he is delivering a clear directive on energy that we all can embrace. Benjamin Asante, until recently a senior geoscientist at the Ghana National Petroleum Corporation, has ridden the wave of Ghana’s national development. Although his story is full of significant and unusual personal firsts, it also reflects the rapid economic and social development of a postcolonial African state.